The Bachelor of Science in Nursing (BSN) is becoming the new standard as nurses’ take on a broader and deeper range of responsibilities in healthcare. Understaffed wards, the aging workforce, patients with multiple chronic conditions, tight budgets, and pressure to go back to school are just some of the challenges nurses face daily. The BSN helps nurses rise to the day-to-day challenges and also empowers them to pursue advanced nursing education and create meaningful contributions that change the lives of patients and nurses. Advances in technology developed to improve the efficiency of nurses can cause setbacks for nurses who are unfamiliar and unprepared for the changes. The complexity of the medical devices require education and training for nurses to master and embrace their use in emergency treatment, intensive care units, recovery rooms and other areas of care. There’s no way around it and no excuse for not using technology, so nurses must develop advanced skills and technical savvy through the BSN program. 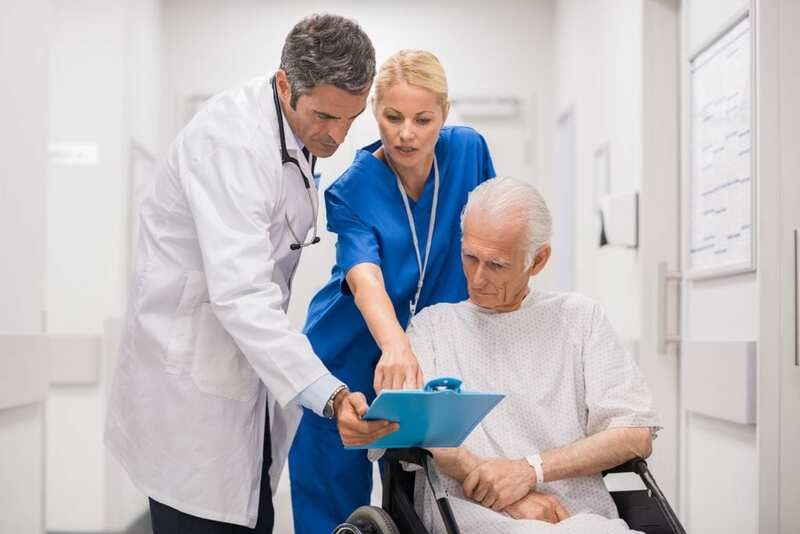 The use of technology in areas such as the organization of patient records and drug retrieval and delivery has considerably changed the way nurses work, but the end goal is efficiency in the mundane tasks to leave more time for personalized care. The cost of healthcare delivery poses a unique challenge to providers. One solution for curbing costs has been to focus on chronic care treatment outside the hospital. More registered nurses are going into communities to improve health and assess the impact of diseases on its members and promote wellness. They treat injuries, coordinate care across teams, and operate clinics. They use evidence-based research to develop treatment plans based on science and research and adjust care according to the socioeconomic needs. As the delivery of care in community care settings becomes the standard, more registered nurses will be expected to have a baccalaureate degree, which covers population-based health. The Robert Wood Johnson Foundation has advocated increased education for nurses to address healthcare issues through the promotion of population health. The additional studies in the BSN prepare students to function as educators, advocates, disease prevention specialists, and experts in emergency preparedness in addition to their role as healthcare professionals. They learn community health nursing in the classroom, but the real learning begins through a hands-on approach in communities. Patients have unique values, practices, and needs based on their cultural background. Nurses must take these into account and deliver culturally sensitive care that is personalized to each individual. Faith and religious belief, social and economic status, and ethnicity are just a few factors that impact care. A patient care plan is only as effective as the nurse’s ability to secure the patient’s trust. Nurses have a responsibility to ask questions, listen to patients, and show respect for the patients’ preferences. Overcoming cultural worldview might be a challenge in healthcare delivery. The BSN supports the development of this critical skill, so nurses will be culturally wise, balancing various opinions to deliver the best possible care. In the complex healthcare environment, nurses are expected to be innovators with the skills to think critically, arrive at feasible solutions to healthcare challenges, and advocate for patients at a time when they need it most. They use the formal training gained in the BSN program to make difficult, life or death decisions that change patients’ lives for the better. The BSN has a critical role in nurses’ ability to impact healthcare delivery for patients, families, and communities. Following is a list of the various types of BSN programs available in Kansas. LPN to BSN: Licensed practical nurses can take an accelerated path to the BSN through the LPN to BSN program. The bridge courses in the program will qualify students for advanced placement in the BSN. The curriculum will comprise of bridge courses, liberal arts, sciences, core nursing studies, and a several hundred hours of clinical practical experiences to augment the classroom lectures. Admission to the LPN to BSN program requires a Diploma or Associate Degree in Practical Nursing and some experience as a Licensed Practical Nurse. Graduates must apply for approval to sit the NCLEX-RN to practice as a registered nurse. RN to BSN: As the BSN rises into prominence, practicing RNs are choosing to complete the BSN through the RN to BSN program. The convenient and flexible program is delivered online so nurses can complete the requirements anywhere they have an internet connection. Most programs are available in both part-time and full-time options. The full-time schedule can be completed in three to four semesters depending on the number of credits completed in the associate degree or diploma in nursing program. The bridge program has a strong emphasis on liberal arts to encourage critical thinking and sciences. Students also learn community health, leadership, communication, and evidence-based practice – topics that are not typically covered in the ADN program. Traditional BSN: The traditional entry is designed for adults who want to explore their career options in nursing and have the time, money, and inclination to complete four years of study in preparation for licensure as a registered nurse. For their efforts, graduates gain flexibility in the career market as they are more sought after than ADN graduates. The degree offers some versatility to work within and without the traditional hospital setting. The combination of clinical preparation with population health, evidence-based practice, technology, and health policy positions graduates to take up emerging roles in nursing and pursue graduate to prepare for specialized roles. Students who successfully complete 120+ hours of science, general education, and nursing courses will receive the BSN degree that will grant them eligibility to take the NCLEX for registered nurses. Fast-track BSN: The fast-track BSN is designed for adults with a previous bachelor’s degree to complete a BSN in less time than it would take to complete a traditional program. The rigorous program may be completed in three to five semesters and typically requires full-time study. In addition to core nursing courses covered in the classroom, students will participate clinical experiences comprising of a minimum 1,200 hours in various healthcare settings. Graduates will be ready for success on the job and are eligible to sit the NCLEX to practice as a registered nurse. The BSN curriculum exceeds the associate degree in nursing curriculum in that it covers a greater depth of study in public health, communication, leadership, critical thinking, and critical care. Through classroom lectures, practice in a simulation lab, and clinical experiences in acute and long-term care facilities, students develop the knowledge and competencies to function as effective members of the healthcare team. In addition to nursing courses, students will complete liberal arts and sciences that will encourage critical thinking and provide a foundation for future studies. The clinical experience will cover almost 1,200 hours of supervised patient care in various health facilities. Course topics include drug calculations, human growth and development, management of adult health, nutrition, health assessment, pathophysiology, management of mental health, adult health, child/adolescent health, maternal/family health, and complex health systems. After completing 120 to 128 credits, students will receive the bachelor of science degree and will be eligible to sit the NCLEX for Registered Nurses. For participation in the mandatory clinical experience, students must meet the requirements for the affiliate partner. Requirements vary but generally include criminal background clearance, immunizations, CPR certification, drug screen, and liability insurance. The demand for professional nurses has caught the interest of those looking to change their careers. The rewarding field of nursing is within reach of those who have already completed a bachelor’s degree but want to prepare for a career as a registered nurse. The accelerated BSN lets students complete in 12 months a program that would otherwise require a commitment of 24 months. The curriculum requirements are the same as the traditional BSN, but due to the transfer of credits and the delivery of courses in an accelerated format, students will save time and money. Students are expected to complete 58 credits of courses and 800 to 1000 hours of clinical experiences. At an approximate cost of $218 per credit for residents enrolled in Kansas State University system, the estimated cost for the professional phase of the nursing program is $23,264 (4 semesters). The cost includes books, supplies, uniforms, shoes, and fees. Here’s a list of Kansas Board of Nursing approved BSN programs and NCLEX-RN pass rates.